Entry application will only be processed after receipt of full payment of entry fee. Participants of 21km must be over 18 years of age. Participants in the 10 km race and Family Fun Run under the age of 18 must be accompanied at all times by a responsible adult. All participants must ensure they are medically fit to participate in the race. The organizer reserves the right to contact and interview applicants by phone for additional information required for matters relating to this event. The organizers will not be responsible for any disputes arising from incomplete/incorrect entry details. The organizer reserves the right to refuse entry to applicants who declare false information on their entry form, do not make the required payment, or who have been banned from competition under who have taken banned substances or who do not meet the entry requirements as stated in the Rules and Regulations. The organizer reserves the right to limit or refuse entries and to close entries before the closure deadline without notice particularly when a specific quota for a race is full. Entries are not transferrable to other persons or to future events. There will be no fee refunded if the event is cancelled for whatever reason. Whilst every reasonable precaution will be taken by the organizer to ensure the participant’s safety, participants run at their own risk and the organizers shall not be liable for any loss and/or damage whether personal or otherwise, and howsoever arising. The Organizers reserve the right to use the participants’ personal data, contact information, motion pictures, recordings or any other records obtained, collected or submitted for the Ravine Run Mountain Marathon (“information”) for any legitimate purposes, including commercial advertising, re-marketing, marketing of other Products offered by the organizer and those offered by Sponsors to the Ravine Run Mountain Marathon . Privacy Statement. Participants are required to wear an official Marathon race number on the front of their singlet/shirt. Personal Trainers, mentors or coaches will not be allowed on the course unless they are entered in the event and wearing an official Marathon Race Number. No un-official vehicles, motorbikes or bicycles are allowed on the course. No pets are allowed on the course. Race numbers and Timing chips are not transferable to other participants. No result or medal will be given to runners who start in the wrong start assigned to them by the organiser. Participants must start the event at an officially sanctioned start time only. Competitors are obliged to follow the instructions of Stewards, Race officials or Panchgani Traffic Police at all times. Participants must start at the official start Line and complete the full officially measured course. A runner must retire from the race immediately if required to do so by any member of the official medical team identified by a reflective jacket with a red cross. Road closures will be lifted at the discretion of the Panchgani Traffic Police. The Road opening signifies the end of the event. Any competitor still on the roads after this time is regarded by India law as a pedestrian. It is the responsibility of the competitor to familiarise themselves with the event rules, the race formats, times and routes and any directions as published in the ‘Runners guide’. Failure to comply with any of the rules may lead to disqualification. I have read the Rules and Regulation and the terms and conditions of Entry and Participation and agree to participate on the understanding that I will adhere to all the provisions stated therein for the event entered. I will be participating in the event entirely at my risk and responsibility. I understand the risk of participating including risks associated with the risk of dehydration and the risk of being on a course with vehicle traffi­c, even if the course may be regulated/policed. I understand that I must be of, and must train to, an appropriate level of ­fitness to participate in the event. I am physically fit and capable of participating in the Event and I have not been advised otherwise by a qualified medical practitioner. I, for myself and my legal representatives, waive all claims of whatsoever nature against any and all sponsors of the event, Panchgani City County, all political entities, authorities and officials, all contractors and construction ­firms working on the event, all Ravine Run Mountain Marathon Local Organising Committee persons, officials and volunteers and all other persons and entities associated with the event and the directors, employees, agents and representatives of all or any of the aforementioned including, without limitation, any claims that might result from my participation in the event and whether on account of illness, injury, death or otherwise. If I am injured or taken ill or otherwise suffer any detriment whatsoever, I hereby irrevocably authorise the event organisers and officials to transport me to a medical facility and/or to administer emergency medical treatment and I waive all claims that might result from such transport and/or treatment or delay or defi­ciency therein. I shall repay or reimburse any of my medical and emergency expenses and I hereby authorise you to incur the same. I shall provide to race officials such medical data relating to me as they may request. I agree that nothing herein shall oblige the event officials or organisers or any other person to incur any expenses or to provide any transport or treatment. 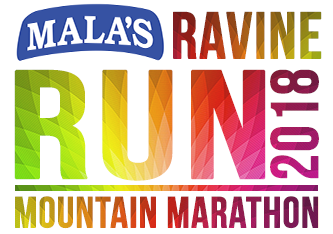 I understand that by agreeing to these terms and conditions, I consent to the use of my personal data including contact information, motion pictures, recordings or any other records of this event (“information”) for any legitimate purposes, including commercial advertising, marketing of products offered by the Organizer and those offered by sponsors to the Ravine Run Mountain Marathon . I understand that there may be need to disclose the information to the Organizers affiliate companies, agents, advisors and third party service providers (“Other Parties”).Information shall be released to other parties on condition that the other parties handle my Information only subject to the organizers instructions. If I have under my care or control children below 18 years of age participating in the Event, then I shall ensure that they are accompanied at all times by a responsible adult and understand that the terms and Conditions of Entry and Participation and the clauses of the indemnity apply to such children. By electronically submitting this form, I agree and confirm that I accept all terms and conditions, and waiver policy.